In 2011, 43-year-old Ibrahim Assoud was arrested for attempting to possess a marketable quantity of cocaine. He was convicted and sentenced in 2012 in the District Court of New South Wales to a maximum of 6.5 years imprisonment, with a non-parole period of 3.5 years. In May 2016, the man was released from prison on parole. His release was subject to a number of conditions – which included regular reporting to a parole officer, notifying of change of employment, living in an approved location, and not associating with anyone who uses, possess, manufactures or sells serious drugs. Due to a breach of these conditions, Assoud’s parole was revoked in May 2018. 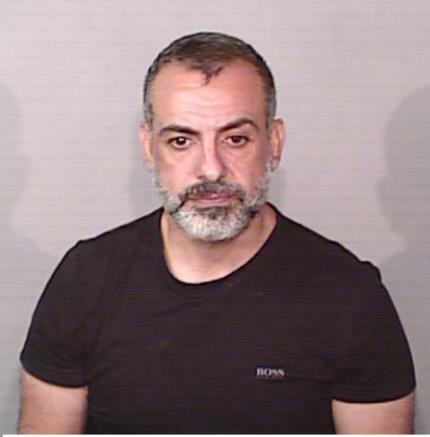 He has not been located by authorities since, and as a result, he is the subject of a Commonwealth arrest warrant and is now wanted by the Australian Federal Police. He is described as being 173cm tall, with medium build, brown eyes and grey/black hair. Anyone who sights him, or who has information regarding his whereabouts, is urged to come forward and contact Crime Stoppers on 1800 333 000. You can remain anonymous.